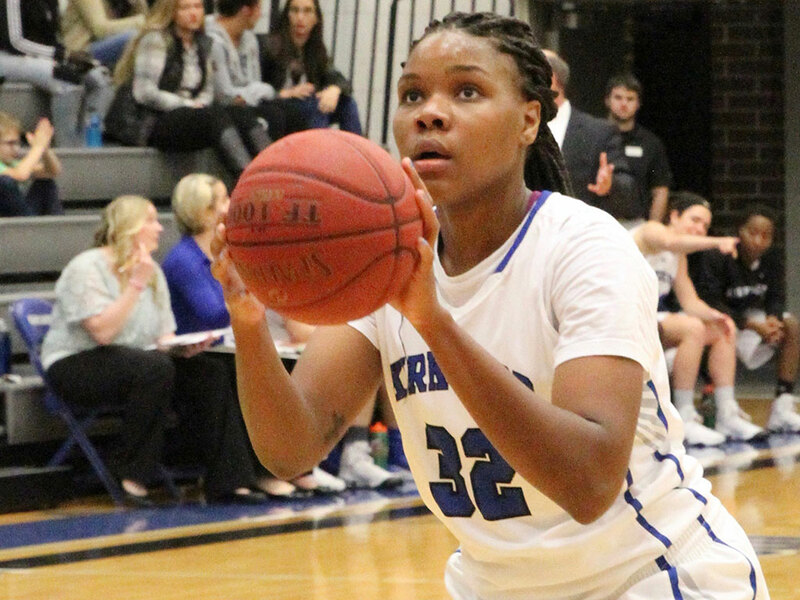 CEDAR RAPIDS, Iowa (March 11, 2017)-The Kirkwood women’s basketball team is now 33-0 after a dominating performance in the National Junior College Athletic Association (NJCAA) Region XI DII Women’s Basketball Tournament. The Eagles claimed the Region XI Championship after victories against Ellsworth (72-48), Southwestern (79-52) and NIACC (90-61). The team now moves on to The NJCAA DII Women’s Basketball Championship in Harrison, Ark., March 21-25. For more coverage on the Eagle’s Region XI Championship, go to www.metrosportsreport.com. CEDAR RAPIDS, Iowa (March 7, 2017)-The Kirkwood women’s basketball team ended the regular season with an undefeated record and now begin their quest for a championship in the quarterfinals of the 2017 NJCAA Region XI DII Women’s Basketball Tournament tonight in Cedar Rapids. The number one-seeded Eagles face the eighth-seeded Ellsworth Community College Panthers beginning at 5:30 p.m. in Johnson Hall. Kirkwood (30-0) is among the national leaders statistically in a few categories. As a team, the Eagles are seventh in field goal percentage (45.5) and 10th in points-per-game (82.5). From an individual standpoint, Simone Goods is number one in the nation for field goal percentage (66.5). In addition, Ashley Hedges and Tayana Wilson are both in the top ten in assist-to-turnover ratio. Hedges is ranked seventh (3.0) while Wilson is 10th (2.6). Head Coach Kim Muhl, who in his 28th season is already in the NJCAA Women’s Basketball Hall of Fame, is looking for his seventh national championship at Kirkwood. The winner of tonight’s game will face either fourth-seeded Southeastern or fifth-seeded Southwestern. For more Eagles athletics news, and to take a look at the women’s Region XI bracket, go to www.kirkwoodeagles.com.